When you have been received a personal injury in a car accident, truck accident, or other serious accident, you need someone you can trust — someone who understands what you are going through and someone who is dedicated to helping you through the ordeal. Attorney Steven Haney spent close to 5 years working for the interests of the insurance companies. Since 1994, he has been their adversary. He has the trial experience necessary to help you maximize your financial recovery. 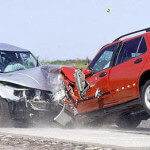 It is true that the majority of car accident cases and other personal injury claims settle prior to trial. However, when an attorney is known for trial experience and courtroom tenacity, the insurance company knows it — and may be more inclined to make a fair settlement offer that is more in tune with your injuries and needs. Whether your personal injury case involves a life-changing injury such as a traumatic brain injury or spinal cord injury or a serious injury that can be cured over time, such as broken bones, back pain or muscle damage, it is important that the insurance company understands the full extent of the injury and its impact on your life. Our law firm works with your medical providers to ensure your injuries are fully documented, and we work with specialists to project your future needs associated with your injuries. As a result of our thoroughness, we are capable of recovering the full amount of compensation that you are entitled. If you or a loved one has suffered a serious personal injury, look no further than the Law Office of Steven Haney for experienced, aggressive and knowledgeable legal representation. Contact our Illinois law firm for a free initial consultation and case evaluation.